Public libraries are useful resources for adult learners. Adult education, also known as continuing education, is a broad term for the practice of teaching and educating adults. It plays a significant part in the lifelong learning. Unlike education for children and young adults, which is often mandated through legislation and strictly structured into steadily advancing levels of achievement, adult education can be broken into several different fields of specialization: Vocational education, personal enrichment, and, for some adults, remedial training in literacy and other skills. The techniques and tools for adult education are also very different from education for children, reflecting the different abilities, motivations, and needs of these students. 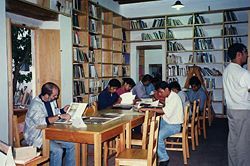 Adult education has grown in importance in modern times, partly as industrialization required more skilled workers, as technology has advanced leading workers to continue to update their skills and knowledge, and also due to the increasing consciousness of the rights of all people to have a chance to fulfill their potential. This brings greater happiness and satisfaction to individuals. At the same time, this benefits society as a whole by supporting the development of each member of society in ways that allow them to contribute more fully and effectively to their community. Adult education, therefore, like that of the youth, is vitally important to the success of a society. The idea of lifelong learning envisions citizens provided with learning opportunities at all ages and in numerous contexts: At work, at home, and through leisure activities, not just through formal channels such as school and higher education. Lifelong education is often accomplished through distance learning in the form of e-learning and correspondence courses. Such adult education or continuing education for those who have passed the age of traditional education (childhood, adolescence, and young adults in higher education immediately following completion of secondary education), includes postgraduate programs for those who want to improve their qualifications, bring their skills up to date, or retrain for a new line of work. In later life, especially in retirement, continued learning takes diverse forms, crossing traditional academic bounds and including recreational activities. The emergence of such educational programs may be understood as a response by largely western governments to a changing world. These underlying changes are a move away from manufacturing to a services economy, the emergence of the knowledge economy, and the decline of many traditional institutions, requiring individuals to become more active in managing their lives. This led to the realization that formal learning, typically concentrated in the earlier stages of life, can no longer sustain the individual throughout their life. One of the reasons why lifelong education has become so important is the acceleration of scientific and technological progress. Despite the increased duration of primary, secondary, and tertiary education, the knowledge and skills acquired there are usually not sufficient for a professional career spanning three or four decades. Since the terms "adult education" and "continuing education" do not have strict definitions, they do not have a cohesive history. Most of the developments in adult education happened in the nineteenth century and later. Scattered groups dedicated to, or responsible for, adult education sprang up in Europe during the Industrial Revolution. This was due to the emerging need to educate the working class in certain vocational skills. However, it was not until the Carl D. Perkins Vocational Education Act of 1984 that equal opportunities were provided for adults in vocational education in the United States. Some of the first formalized adult education institutions were correspondence schools. Some of the first formalized adult education institutions were correspondence schools. In Great Britain, France, Germany, and the United States correspondence education developed and quickly spread during the mid-nineteenth century. For example, in 1840 the English educator Sir Isaac Pitman taught shorthand by mail. Intellectual curiosity and scholarship during these eras, in both Europe and the United States, also led to the develop of societies and groups that fostered continuing education and academic discovery. Lectures and intellectual associations became popular in the early twentieth century, and from these developed social movements and the recognition that education was incredibly important to the benefit of society as a whole. In Britain, the exponential growth and needs of the Industrial Revolution created a new class of reader, "mechanics," who were civil and mechanical engineers in reality. The Birmingham Brotherly Society was founded in 1796 by local mechanics to fill this need, and was the forerunner of Mechanics' Institutes, which grew in England to over seven hundred in number by 1850. Mechanics' Institutes were educational establishments formed to provide adult education, particularly in technical subjects, to working men. As such, they were often funded by local industrialists on the grounds that they would ultimately benefit from having more knowledgeable and skilled employees (such philanthropy was shown by, among others, Robert Stephenson, James Nasmyth, and Joseph Whitworth). The first institute was incorporated in Glasgow in November 1823, built on the foundations of a group started at the turn of the previous century by George Birkbeck. Under the auspices of the Andersonian University (established in 1796), Birkbeck had first instituted free lectures on arts, science, and technical subjects in 1800. This Mechanics' Class continued to meet after he moved to London in 1804, and in 1823 they decided to formalize their organization by incorporating themselves as the Mechanics Institute. 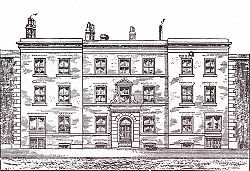 The London Mechanics' Institute (later Birkbeck College) followed in December 1823, and the Mechanics' Institute in Manchester (later to become the University of Manchester Institute of Science and Technology (UMIST) in 1824. The Mechanics' Institutes were used as "libraries" for the adult working class, and provided them with an alternative pastime to gambling and drinking in pubs. By the mid-nineteenth century, there were over 700 such institutes in towns and cities across the UK and overseas. 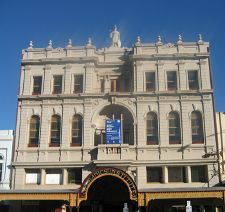 In Australia, for example, the first Mechanics' Institute appeared in Hobart in 1827, followed by the Sydney Mechanics' School of Arts in 1833, Newcastle School of Arts in 1835, and the Melbourne Mechanics' Institute established in 1839 (renamed The Melbourne Athenaeum in 1873). From the 1850s, Mechanics' Institutes quickly spread throughout Victoria wherever a hall, library, or school was needed. Over 1200 Mechanics' Institutes were built in Victoria; by the early twenty-first century just over 500 remained, and only six still operated their lending library services. In the United States, the Lyceum movement (named for Aristotle's Lyceum in ancient Greece, the school outside Athens where Aristotle taught) flourished in the mid-nineteenth century, particularly in the northeast and mid-west, and some lasted until the early twentieth century. During this period hundreds of informal associations were established for the purpose of improving the social, intellectual, and moral fabric of society. This lyceum movement—with its lectures, dramatic performances, class instructions, and debates—contributed significantly to the education of the adult American in the nineteenth century. Noted lecturers, entertainers, and readers would travel the "lyceum circuit," going from town to town or state to state to entertain, speak, or debate in a variety of locations. In the middle of the twentieth century governments and more formal educational institutions became involved. With changes in societal views, such as the view that educational opportunities should be equal, that education was not necessarily the privilege of the young or wealthy, and a lessening of the stigma attached to adults as learners, came not just greater acceptance but also a demand for adult education. With the growth of community colleges, vocational colleges, and returning student oriented programs, adult education became increasingly popular. Governments of both industrialized and industrializing countries recognized the importance of adult education and funded programs for literacy, vocational skills, and adults seeking to earn more traditional degrees. Today there are many organizations around the world dedicated to adult education. Almost every traditional higher education institution offers some form of adult education. Non-traditional institutions have also become popular, such as the British Open University which practices distance learning and does not require previous educational experience for most of its programs. Regional governments and international organizations, such as the United Nations, provide programs and efforts to help educate on such topics as health, vocational skills, and literacy. While there are many different types of adult education, most would fall under one of the four categories below. Perhaps the bulk of adult education worldwide is vocational or professional related—a multi-faceted type of adult education. Adults with little to no marketable job skills or experience may attend vocational education programs at community colleges, technical colleges, and even at universities, where they can earn certificates or degrees in technical or manual professions. These types of programs are popular in both developed and developing countries, as these skills are in demand everywhere. Adults may also attend these programs out of a desire to change careers and perhaps find a field of work in which they can be more successful. With technology becoming a major factor in the global economy, continued education for those already employed has become popular, as it is seen as giving older workers with less experience in regards to emerging technology opportunities to compete in a younger, more experienced job market. Outside of the technological fields, some licensed professions, such as education and health, require follow-up classes every few years to maintain licensing. Many businesses promote, and even require, employees to attend workshops or seminars to improve their productivity, skills, and knowledge. These seminars can be on a range of topics, from methods to improve performance, team building and effective management, to industry trends and updates. Community organizations and religious institutions often provide adult education classes on issues confronting families. A significant sector of adult education in America is English for Speakers of Other Languages (ESOL), also referred to as English as a Second Language (ESL). These courses are key in assisting immigrants not only with the acquisition of the English language, but also the acclimation process to the culture of the United States. In many of countries that have large immigrant populations, such as the United States, classes are also offered, and sometimes required, to help attain citizenship. These can include classes about the host country's civil, legal, and historical issues that are important for all citizens to know. A trend in adult education that emerged at the end of the twentieth century is the offering of classes, workshops, and seminars aimed at teaching skills and knowledge intended to better individuals emotionally, physically, or culturally. Adults can attend such classes at community colleges or universities, or community and religious centers. Adult education geared towards emotional betterment can include seminars and workshops on everything from self-esteem and self-image issues to psychological support group meetings (such as Alcoholics Anonymous). This type of education often is less classroom/lecture oriented, and is more focused upon creating a group space that is conducive to healing and therapy. Adult physical education includes everything from health improvement to personal achievement. Yoga, aerobics, personal fitness lessons, sports activities, and martial arts are just a few of the examples. These are often taught at local gymnasiums or health clubs, or at small centers devoted to a particular practice. They can be both community sponsored and free to adults, or they can be businesses that charge for classes. Physical education for adults also includes outdoor activities, such as camping, boating, fishing, hunting, and extreme sports. Adult education for cultural betterment runs the gamut from classes and workshops involving cooking, dancing, fine and performing arts, meditating, and learning a foreign language. Classes may provide information about other cultures and traditions that may or may not be used in everyday life (such as different cooking styles); sometimes the mere experience fulfills the participants' goals. Social movements have emerged since the middle of the twentieth century to help adults with little to no education. Most often this takes the form of literacy. Even in the industrialized world there are a high number of illiterate adults who struggle to perform daily functions, find employment, and act as productive citizens. Often times community volunteers and government outreach programs provide free reading and writing classes to adults. While illiteracy is perhaps the most significant issue, there are other essential skills that are often taught to adults in order to help them remain productive citizens. How to manage personal finances, making a resume and applying for a job, and personal organization are a few of the basic skills that are often taught to adults in remedial education. As the education of adults has developed so has an awareness of the differences between children and adults as learners. Pedagogy, the "art or science of teaching children," is primarily teacher-directed instruction. The teacher, or an administrative group of adults, has responsibility to decide when, how, and what will be taught and to assess whether it has been satisfactorily learned. This is a teaching and learning situation that places dependency on the instructor. The application of the pedagogical model to adult education is a contradiction in terms. Adults are by definition older and more mature than the children pedagogy refers to. Adults are thus more independent, responsible for their own actions, and self-motivated. The pedagogical model does not account for these differences and may produce tension, resentment, and resistance in adult learners. The development of "andragogy" as an alternative model of instruction has improved this situation. "Andragogy” refers to the process of engaging adult learners in the structure of the learning experience. The term was originally used by the German educator Alexander Kapp in 1833, and was later developed into a theory of adult education by the American educator, Malcolm Knowles. Knowles believed that it was crucial to acknowledge the differences between how children and adults learn. Knowles' work (most notably the book Self-Directed Learning: A Guide for Learners and Teachers, published in 1975) has been controversial. To some, his proposed system states the obvious, to others, he has merely proposed an adaptation of existing child-learning theories. One of the most important differences that Knowles recognized was that adults have accumulated knowledge and experience which can either add value to a learning experience or hinder it. Whereas children, especially when they are younger, often are most adaptable to situations and are naturally more inclined to absorb information, adults tend to have ingrained behaviors and personalities that are firmly established. While this means that their self awareness is greater and ability to focus, rationalize, and apply new information may be greater than that of a child, it can also mean sometimes that adults can be more resistant to new modes of thinking and behaving. Authority and power dynamics are also key factors in adult education. In most classrooms for children, the teacher and student share an unequal relationship; essentially, the teacher has (theoretically) absolute control and authority over the classroom, modeling the authority of a child's parents. Educators of adults share a different type of relationship with their students. A less significant difference in age and experience often means that educators must treat their students on a more equal level with more respect, sensitivity, and appreciation. Stephen Brookfield's 1991 publication further developed this field. He saw adult education and adult learning theory as compromised of six leading principles: voluntary participation in learning, mutual respect among participants, collaborative facilitation, a praxis approach to teaching/learning, the necessity of critical reflection upon the breadth of life, and a proactive and self-directed empowerment of participants. While not in direct contradiction to Knowles, Brookfield focused more upon the self-motivating pre-requisite as the most important guarantee of success. In other words, in most circumstances adults are not forced into educational settings but participate out of their own desire for self-advancement. If they are required to participate in an educational program, unless there is a willingness to learn and participate the adult will more than likely not achieve significant learning. Andragogy now regards six factors as important in adult learning: the learner's need to know, the self-concept of the learner, prior experience of the learner, readiness to learn, orientation to learning, and motivation to learn. Adults differ from children in a variety of ways along these six dimensions, requiring adult education to develop different methodologies from traditional education in order to be successful. Just as the internal aspects of adult learning (motivation, relationship between teach and student, personality and goals of the student, and so forth) differ from those of children and youth in traditional education, so do the external methods and techniques. The method of delivery of continuing education can include traditional types of classroom lectures and laboratories. However, much adult education makes heavy use of distance learning, which not only includes independent study, but which can include videotaped/CD-ROM material, broadcast programming, online/Internet delivery, and online Interactive Courses. In addition to independent study, the use of conference-type group study, which can include study networks (which may meet together online through web conferencing) as well as different types of seminars and workshops, can be used to facilitate learning. A combination of traditional, distance, and conference-type study may also be used for continuing education courses or programs. ↑ John Field, Lifelong Learning and the New Educational Order (Trentham Books, 2006, ISBN 1858563461). ↑ H.R. 4164 (98th): Carl D. Perkins Vocational Education Act, Oct 19, 1984. Retrieved August 29, 2018. ↑ Benn Pitman, Sir Isaac Pitman, His Life and Labors (Cincinnati, OH: Press of C.J. Krehbial & Co, 1902). ↑ Harold W. Stubblefield and Patrick Keane, Adult Education in the American Experience: From the Colonial Period to the Present (Jossey-Bass 1994, ISBN 0787900257). ↑ Frederick Kilgour, The Evolution of the Book (New York, NY: Oxford University Press, 1998, ISBN 0195118596). ↑ Alan J. Kidd, Manchester (Town and city histories) (Manchester, England: Ryburn, 1993, ISBN 1853310166). ↑ Bronwyn Lowden, Mechanics' Institutes, Schools of Arts, Athenaeums, etc. : An Australian Checklist (Donvale, Australia: Lowden Publishing Co., 2007, ISBN 978-1920753078). ↑ The Open University "Can I do it?" The Open University. Retrieved August 29, 2018. ↑ 9.0 9.1 9.2 Malcolm Shepherd Knowles, Elwood F. Holton, and Richard A. Swanson, The Adult Learner, Sixth Edition: The Definitive Classic in Adult Education and Human Resource Development (Butterworth-Heinemann, 2005, ISBN 978-0750678377). ↑ 10.0 10.1 Roger Hiemstra and Burt Sisco, Individualizing Instruction: Making Learning Personal, Empowering, and Successful (Jossey-Bass, 1990, ISBN 1555422551). ↑ Mark K. Smith, "Andragogy," The Encyclopaedia of Informal Education, 2010. Retrieved August 29, 2018. ↑ 12.0 12.1 Stephen Lieb, Adults As Learners "Principles of Adult Learning," VISION, Fall 1991. Retrieved August 29, 2018. ↑ Stephen Brookfield, Understanding and Facilitating Adult Learning (Jossey-Bass, 1991. ISBN 1555423558). Pitman, Benn. Sir Isaac Pitman, His Life and Labors. Cincinnati, OH: Press of C.J. Krehbial & Co, 1902. This page was last modified on 14 September 2018, at 18:44.